Misty Snow and Misty Plowright became the first transgender people to be nominated to Congress by a major political party on Tuesday, when they won their respective Democratic primary races in Utah and Colorado. Ms. Snow, a 30-year-old grocery store cashier from Salt Lake City, bested marriage therapist Jonathan Swinton, a self-identified conservative Democrat who ran on a centrist platform. 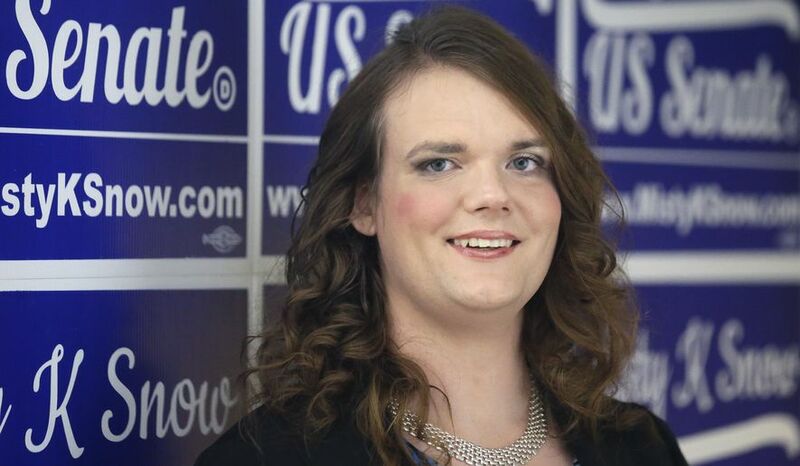 The transgender woman will now face-off against incumbent Republican Sen. Mike Lee in November. Mr. Lee ran unopposed in the Republican primary. Although Mr. Swinton won the initial ballot, he failed to garner 60 percent of the vote at the convention, sending the race into a run-off. The unofficial returns showed Ms. Snow with a 59.5 to 40.5 percent advantage. Ms. Snow ran on a platform of increasing the minimum wage and criticized her opponent for supporting restrictions on abortion rights. She played up the historic nature of her candidacy on Tuesday.